Wow, it's the ghost of NXT past. To start, they traded a series of quick roll-ups and leverage pins, none for more than a one count. A lock-up results in a trade of wristlocks, then Tatsu gets the upper hand. Tatsu takes Kidd down and heads to the top rope, but Kidd catches him with a fist on the leap. Kidd regains control and hits Tatsu with a snapmare and chokes him in the ropes, then steps on his hand. Kidd with more abuse on the mat. Back elbow gets Kidd two, and he moves into a nasty chinlock. Tatsu fights out but telegraphs a back body drop, letting Kidd land a kick and a running neckbreaker. The ref starts a count and they recover at five. Tatsu with kicks and a Chono boot. Kidd ducks a Shining Wizard, tries a roll-up but Tatsu rolls through, and then Tatsu connects with a second Shining Wizard for two. Tatsu calls for the end, but Kidd dropkicks his legs out. Kidd with a brainbuster for a very close nearfall. Kidd puts Tatsu on the turnbuckle and looks for a superplex but Tatsu headbutts him off. Tatsu with the spinning heel kick from the turnbuckle for the win. WINNER: Yoshi Tatsu in 6:00. Fun match, but as always, I want to see 10 - 15 minutes from these two. I like the pacing when these two enter the ring together. Overall, it was a meaningless win, as Kidd hasn't won a match against a credible opponent since The Hart Dynasty won the Tag Team Titles. Barreta turns a lock-up into a waistlick, but Young turns it into a wristlock then an armbar. It's weird to see Young doing any chain wrestling. Young forces Barreta to bend over back to the mat, but Barreta bridges out. Young cuts him off and knocks him down. Young runs the ropes, but eats an elbow, which gets Barreta one. Young cuts off Barreta and tosses him over the ropes, but Barreta lands on the apron. When Young realizes it, he charges, but Barreta dodges and kicks him in the chest. Barreta climbs the ropes, but Young catches him, then drops him rear end-first on the apron. Striker is trying really hard to enhance Young. Young rolls Barreta into the ring for a two count. Backbreaker from Young for two again. Young wrestles Barreta to the mat, kneels on his back, and poses, then puts on a rear chinlock. Barreta elbows out, but Young whips him into the corner. Young tries a suplex but Barreta reveres into a rollup for two. Double clothesline takes them both down, but Young recovers and tries a pair of covers for two in each. Young with a scissors hold. Barreta elbows out again, but Young rams him into the turnbuckle then puts him on top. Young looks for a belly-to-back superplex, but Barreta elbows out and hits the corkscrew moonsault leg drop for a nearfall. Barreta with some strikes, but Young kicks him down. Barreta bounces back with more strikes and an enziguri. Barreta with a running elbow to the jaw in the corner. Young dodges a high knee and lands a gutbuster for two. Barreta slips out of another suplex attempt and gets knees up when Young charges him in the corner. Barreta to the top, but Young crotches him. Young looks for a superplex again, but Barreta turns it (and Young) around. Young sits on the turnbuckle and Barreta is sort of clumsily trying something from behind, but Young grabs him, puts him in the fireman carry, and finishes the match with the Gut Check from the top rope. WINNER: Darren Young in 7:00. Young just doesn't scream "entertaining" or even "threatening" in his matches, but kudos to him for waiting about four minutes until the first resthold. The ending sequence could have been sweet if they didn't get so hung up trying to get into position. Young needs some polish, and it's just sad to see Trent Barreta getting fed to him. Yet another NXT Special in the form of JTG. JTG pie-faces Riley, but Riley tackles him and then puts him face-first into turnbuckles. Riley with a quick clothesline and knocks JTG out of the ring. JTG tries to fight his way in from the apron, but Riley takes the fight to him. Riley ends up on the apron but Tamina jaws at him letting JTG land a boot to the chest and send Riley into the ringpost. JTG rolls Riley into the ring for two. JTG with an abdominal stretch then a side chinlock. Riley fights out, but telegraphs a back body drop, letting JTG hit a drop down uppercut. JTG with a back drop to neckbreaker for two. JTG chokes Riley in the ropes, then a spinning neckbreaker for two. JTG to the chinlock and the crowd rallies for Riley. Riley gets out, but JTG elbows him and Riley heads ringside. Riley dropkicks JTG's face when he heads through the ropes. Riley lands some punches and a pair of clotheslines, then a spinebuster. Riley fires up and calls for the end. Riley easily manages the Final Score for the win. WINNER: Alex Riley in 6:00. I like Alex Riley, and here's why. The guy can get a "Riley! Riley!" chant going in a Superstars match and get a girl to show up on the front row with a "Say it to my face!" sign without so much as a minute of actual TV time since the summer. You know who else has managed this trick? Ted DiBiase (who I also like a lot). Riley had most of the offense, thankfully, allowing the match be quite watchable. It was nice to see the person win that actually dominated the match. Hey, more folks from NXT! Hawkins and Kingston start the match, and Hawkins forces Kingston to the corner. Kingston dodges a cheap shot, but when he tries to follow up, Hawkins hides in a corner. Hawkins tries to charge, but Kingston counters with a drop toehold. Hawkins reverses a hold into a headlock, but Kingston shakes him off. Hawkins with a shoulder tackle and Kingston comes back with a leaping back elbow, and tags Bourne in. Double team on Hawkins gets two. Hawkins gets to his feet and Bourne gets a running huracanrana for two. Hawkins brings Reks into the match and Reks uses his power on Bourne. Bourne escapes with quick kick to the face and brings Kingston in. Reks puts Kingston in the corner and charges, but Kingston catches him with a backslide attempt. Reks powers it into a backslide of his own, but Kingston leaps over Reks. Reks charges and eats elbows, so Kingston lands a crossbody to the body from the turnbuckle. Reks to his feet and lands a suplex, and tags Hawkins. Back from break, Bourne sends Hawkins into a corner, but Hawkins flips him over to the apron but Bourne lands a roundhouse to the head and Hawkins hits the mat. Bourne goes up for Air Bourne, but Reks jaws at him. Kingston argues with the ref, which lets Reks sneak in a land a sort of suplex/Burning Hammer. Hawkins with the cover, but Kingston makes the save. Hawkins covers again for two. Hawkins drags Bourne to the corner and Reks comes in. Reks chokes Bourne in the ropes, then slams him to the mat and covers for two. Reks slows it down on the mat. Hawkins comes in and mocks the "Let's Go Evan" chants. Reks comes in after a bit, then quickly brings Hawkins back in. Bourne dodges a corner splash and there's a double tag. Kingston with his "house of fire" offense. Kingston misses a roundhouse and Reks puts him into a turnbuckle. Reks sends Kingston across the ring, but Kingston hits the double-jump crossbody, only to have Hawkins break up the pin. Bourne lands a running high knee to put Hawkins on ice, then delivers a roundhouse to the back of Reks's head. Kingston calls for the Trouble in Paradise and gets it, then tags in Bourne, who nails Air Bourne and makes the pin. WINNERS: Air Boom in 18:00. 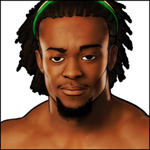 Evan Bourne puts on good matches and Kofi Kingston puts on good matches. But, Air Boom puts on predictable matches that are almost always identical regardless of the opponent. If you've never seen an Air Boom match before, they are fun. If you watch Superstars weekly, you are bored with them. Doesn't Kofi ever get tired of having a "partner" who ends up isolated for five minutes? Don't their opponents ever know that Kofi always comes off the hot tag with a springboard Superman Punch followed by two clotheslines? I do, and it's not my "job" within the "WWE Universe" to "watch tape" and "scout" and "prepare for matches."